Where's the Queen in Buckingham Palace? Can you spot Harry and Meghan on their trip Down Under? Where are William and Kate in Times Square? 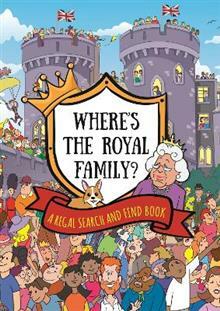 Travel the world through intricately illustrated scenes and start searching for your favourite royals - and their corgis! Featuring the Queen, Prince Phillip, Prince Charles, Camilla, William, Kate, Harry, Meghan - and the new royal baby!